REAL WEDDING MUSIC! Juke Joint's Memphis Soul and R&B music is some of the best dancing and listening music ever written and is enjoyed by all ages. Juke Joint will help make your wedding a memorable success! 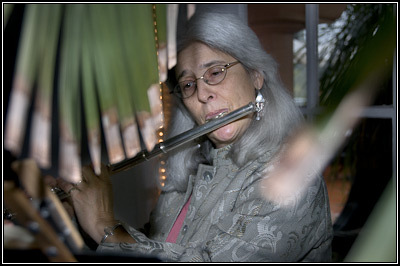 Band members play an extensive range of instruments to enable performance throughout the entire wedding event. However, if desired, Juke Joint can also provide additional professional musicians (e.g., piano/organ) to enhance the wedding event. This capability means you won't have to hire multiple bands and is more economical! LISTEN TO OUR MUSIC! Samples include classical ceremonial music and music for your reception featuring our full band. HIRING JUKE JOINT IS EASY! - Just send us a Juke Mail with your contact information and we'll get back to you right away. “Thank you for some great music last night...I heard a lot of compliments about your band and music…I will definitely put in my highest recommendation. You are not only a great band to listen to, but also a polite and easy-to-work-with group (not everyone is). So, thank you for that too.” Corinna A. “I had a chance to listen to the demo songs on your website and, in a word, AMAZING!” Joe Y. “I thoroughly enjoyed the music…I love the fact that you stay true to the original reproduction of the music. When I listen to your recordings, I fall in love with the music …” Gig X.